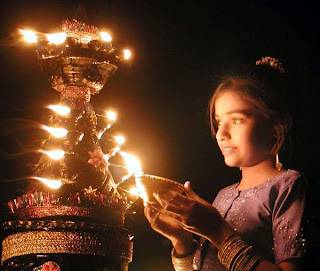 Diwali is the festival of lights, not noise, and therefore firecrackers should not be a part of celebrations.Crackers are very costly and splurging money on them is sheer waste. -Maximum number of burn cases, fire incidences is being reported in the Diwali season due to the firecrackers. Firecrackers are made up of paper which comes from cutting of trees. 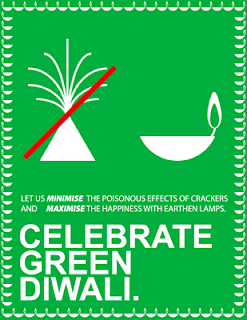 So, avoid crackers, save trees. 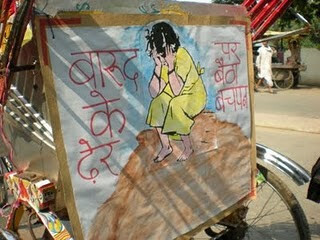 - As child labour is involved in fireworks industry, you are encouraging this social menace by buying crackers. 1) Health hazards: Burns, deafness, Nausea and mental impairment. Many people die in explosions in factories manufacturing fire-crackers. Firecrackers can cause hearing loss, high blood pressure, sleeping disturbances and sudden exposure to loud noise can cause temporary or permanent deafness or even result in heart attack. 3) Noise pollution: firecrackers make noise more than the allowed decibel limit for human being. e can cause difficulty for rivers because of reduced visibility. 5) It increases the Pollution in environment. 6)The effluent, colourful and deafening crackers come out of the tiny hands of over one and half lakh children compelled to toil day and night in suffocating worksheds, anticipating death or mutilation due to the explosive nature of the material they handle. In our school Vasuendhara the eco club launched Cracker free Diwali campaign. Enlightened by our message of environment protection, Class VII and VIII students have vowed for firecracker-less Diwali this year. Awareness campaign in the form of lectures through power point presentation has been conducted by us in schools for class! X and X. Also, we have distributed pamphlets in nearby areas of our school spreading the words about benefits of celebrating Diwali without firecracker. These pamphlets were designed by students of our eco club. Pamphlets were placed on different bulletin boards to sensitize the children of senior classes. All these measures have created an atmosphere for awakening children and their families about ill-effects of firecrackers.